Flip a coin. If heads, Vader uses his full power force choke.if tails. Vader does half the damage. Flip a coin. 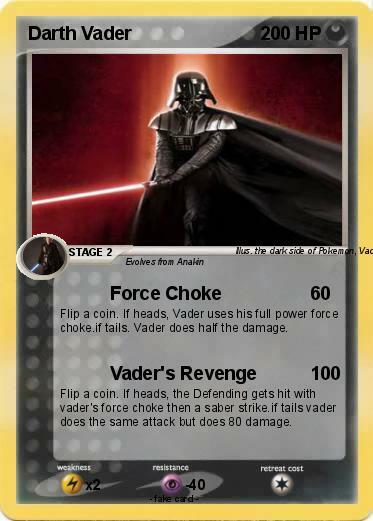 If heads, the Defending gets hit with vader's force choke then a saber strike.if tails vader does the same attack but does 80 damage.